Free software (formerly known as Webmaster Tools), Search Console is designed to help users understand and improve their websites. Got a new blog post? Great. Submit it in Search Console for indexing. Want to know what your website visitors searched for to find your website? No problem. 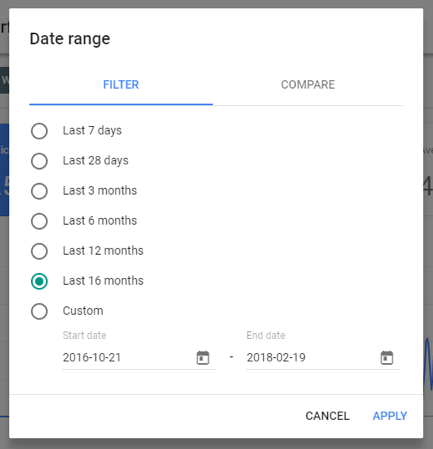 Use the new beta version of Search Console to check out 16 months of queries (recently increased from 90 days). These are the keywords people are typing in when visiting your website … what are you waiting for? Figure out which ones convert and produce amazing related content. Google also recently asked users how to make Search Console better. And – wait for it – then implemented popular requests. Check out this recent post from Google for further details: How listening to our users helped us build a better Search Console. 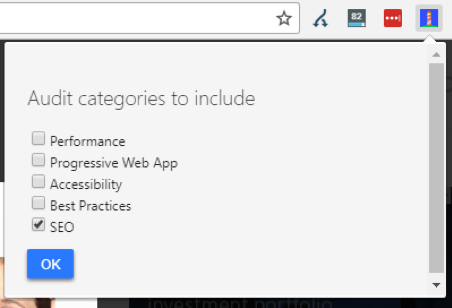 Google’s free Chrome extension, Lighthouse, gives developers hints and tips on improving their sites. Recently, Google added a new SEO component to this extension. Now Google will analyze any web page and tell you how to make it more search engine friendly. One frequent answer is to make sure the text is big enough – weirdly not even something most SEO professionals ever considered. No idea what all this SEO stuff even is? Or feeling like you’re behind the SEO curve? No worries. Google created a new SEO starter guide – it details everything you need to know to get your site ranking. Make content interesting and useful. Know what your readers want. Optimize content for users, not search engines. The SEO world spends a lot of time trying to figure out what Google wants – the more you understand, the better chance you have of increasing your keyword rankings, traffic, and, ultimately, leads. Back in the day there was a gentleman at Google named Matt Cutts. He joined a couple years after Google’s inception and was the head of the company’s webspam team. Matt had a deep knowledge of the algorithm and became the unofficial/official liaison between the search giant and the SEO world. Well, he officially resigned in December 2016 (though he had been absent from his role as liaison since July 2014) to join the U.S. Digital Service, a part of the federal government. Then, out of nowhere, it announced in October that Google officially – for the first time since Matt left – had a new public liaison for search. 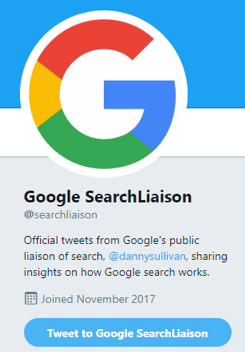 Danny Sullivan, former analyst and SEO journalist, was proactively contacted by Google and offered the role, which he quickly accepted. 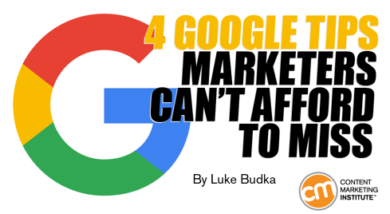 There you have it – four clear and distinct signs Google wants you to take organic search seriously. Advice from the behemoth itself details how to improve your content and get it found by your target audience. If you recall SEO as something a few dodgy agencies used to do back in the early 21st century, you’re right (though they’re pretty much all extinct now). Yes, it was a bit of a dark art once upon a time, but things have evolved and Google (and Bing for that matter – they publish great content optimization advice) is keen for you to make the internet a better place for everyone, and perhaps make a few quid for your agency or company in the process. Get SEO tips and a lot more at Content Marketing World Sept. 4-7 in Cleveland, Ohio. Register today using code BLOG100 to save $100. Luke Budka is director at integrated marketing agency TopLine Comms. Focused primarily on the technology and finance sectors, with specialisms in PR, SEO, inbound and video, he leads the agency's SEO team and designs and executes organic search strategies that increase rankings, traffic and leads for both B2B and B2C companies. Follow him on Twitter @LukeBudka.